I just finished this book recently. I started reading it before the new year when I was picking up my running. The first couple chapters were especially helpful to me as a new runner. The book also includes a couple chapters on appropriate training plans, eating and racing your best. I was able to incorporate a few recommendations from this book into my running. Most helpful recently have been the stretches for the various running injuries. What I enjoyed about this book, besides all the great information, was the personal stories from the author that were included throughout. This is definitely a very insightful book for a new runner and even experienced runners. I love Chicken Noodle Soup. Last week I ran out of my freezer stash... So it was cooking time for me. This recipe makes about 8 servings. Each serving is 5 WW ProPoints. 1. Chop the chicken into bite size pieces and cook in a tsp of oil. 2. 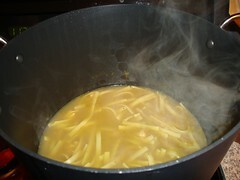 Meanwhile boil the chicken broth in a large stock pot. 3. When broth is boiling, add chicken, pasta, pepper and the vegetables of your liking. 4. Boil for 15-20 minutes. I am always looking for more ways to cook with Maple Syrup. This Applesauce turned out good! 1. 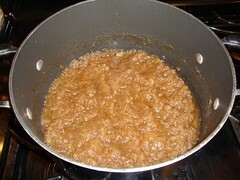 Combine maple syrup and water in a large pot and bring to boil. Stirring throughout. 2. 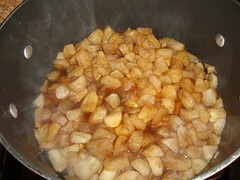 Add apples, cinnamon and nutmeg. 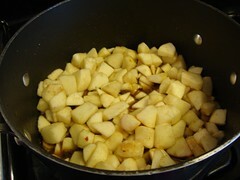 Cover and cook over medium heat for 20 minutes or until the apples are tender. 3. Mash the apples with a potato masher. 4. 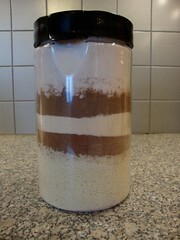 Cook uncovered for 20 minutes or until most of the liquid has evaporated. 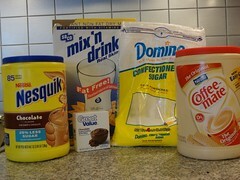 Makes 5 cups. Serving size is 1/2 cup. 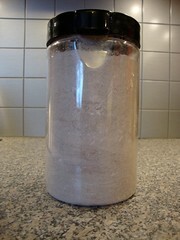 3 WW ProPoints per serving.